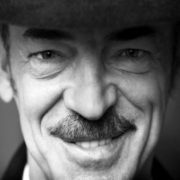 Mikhail Boyarsky is a Soviet-Russian actor and singer, Honored Artist of the RSFSR (1984) and People’s Artist of Russia (1990). 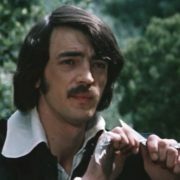 He is best known for the role of D’Artagnan in the film D’Artagnan and Three Musketeers (1978) and its sequels (1992, 1993). 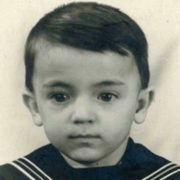 Mikhail was born on December 26, 1949 in Leningrad (now Saint Petersburg) into the family of the theater actors Sergei Boyarsky and Ekaterina Melentieva. The boy’s parents did not want the son to follow in their footsteps. They wanted him to be a musician. 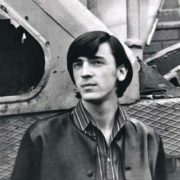 Boyarsky studied piano in a music school. After school, the future actor entered the Leningrad State Institute of Theatre, Music and Cinema. In 1972, after graduation from the institute, he began working in the Lensovet Theatre. 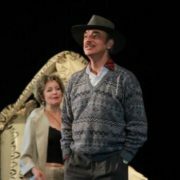 In the play Dulcinea Tobosskaya, Mikhail played along with great actress Alisa Freindlich for the first time. Being a school boy Mikhail starred in the short film Matches Are Not Toys For Children. But his real debut took place in 1974. 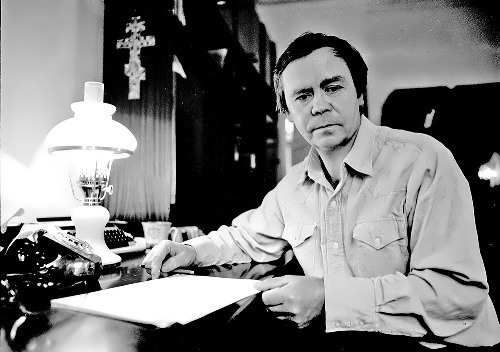 Mikhail played the main role in Troubadour And His Friends, directed by G. Gladkov. Larissa Luppian, who soon became his wife, played the role of Princess. 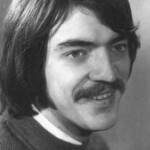 In the movie, the actor made his debut in the film The Bridge (1974). 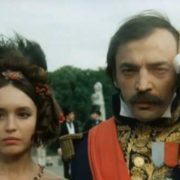 And in the film The Straw Hat (1974) he played along with Andrei Mironov and Lyudmila Gurchenko. 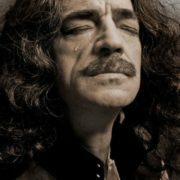 However, fame came to him in 1975, after the role of Silva in the film The Eldest Son. 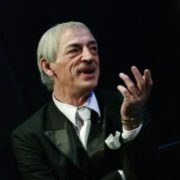 The actor played together with Nikolay Karachentsov and Evgeny Leonov. The film that took its place in the “gold fund” of Soviet cinema was watched by millions of viewers. 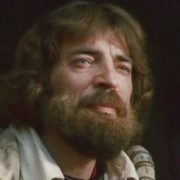 One of his best roles was in the musical film Dog In The Manger (1977), based on the play by Lope de Vega. Margarita Terekhova was his partner in the film. 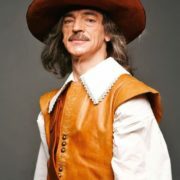 Thanks to the role of D’Artagnan in Jungvald-Khilkevich’s film The Three Musketeers and popular songs from the movie Boyarsky became incredibly popular and famous. 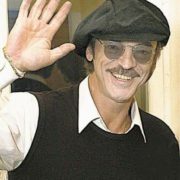 Boyarsky, Igor Starygin, Veniamin Smekhov, Valentin Smirnitsky and Vladimir Balon became idols for millions of women. 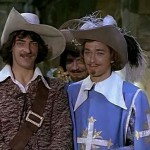 Later Mikhail played in its sequels The Three Musketeers, Twenty Years Later (1992) and Secrets of the Queen Anna or Musketeers thirty years later (1993). 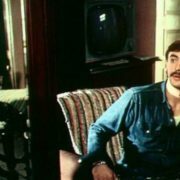 Also Boyarsky starred in Naval Cadets (1987) and Long Live The Cadets (1991) directed by Svetlana Druzhinina, Prisoner of If Castle, and many others. 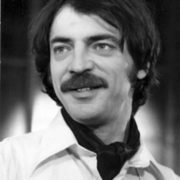 After leaving the Lensovet Theater in 1986, Boyarsky played Rivarez in a rock musical The Gadfly by Alexander Kolker in the Leningrad Theater. Then he headed the theater Benefit. A play Intimate Life won a prize at the International Festival Winter Avignon in 1997. 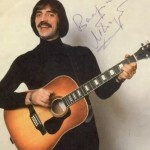 Besides, Boyarsky sang about 400 songs, his most favorite were written by Maxim Dunayevsky, Victor Reznikov and Gennady Gladkov. 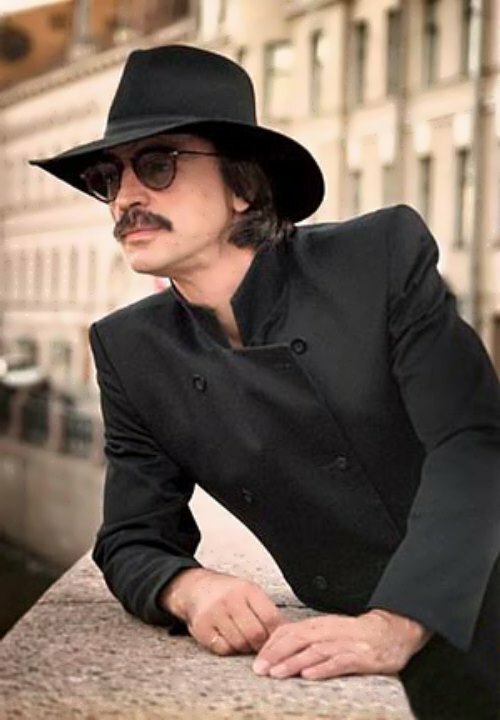 You know, Boyarsky’s passion is The Beatles. In his youth the actor sang in a rock band Nomads and wrote songs, and in 1995-2002 he sang with the band Silver. 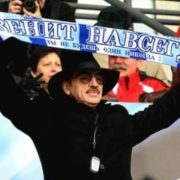 Also Mikhail is fond of football and philosophical books. 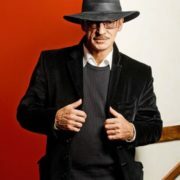 After the release of the film A Man from Boulevard des Capucines (1987), where he played a gangster nicknamed Black Jack, wide black hat became permanent part of his image. 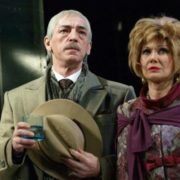 In 2013, Andrei Kavun’s Sherlock Holmes appeared on the screens, where Igor Petrenko and Andrei Panin played Holmes and Watson. 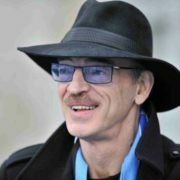 Boyarsky played the role of the inspector Lestrade. Later, the actor played in the criminal detective Black Cat directed by Anton Sivers. 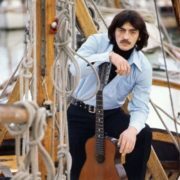 In the late 70s Boyarsky married actress Larissa Luppian. 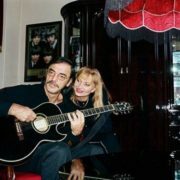 They have son Sergei Boyarsky (born in 1979), and daughter Elizaveta Boyarskaya (born on 20 December 1985, who is also an actress). Larisa left her work and devoted herself to the family and did not regret the choice.